Earth Day Campaign Supports U.N. 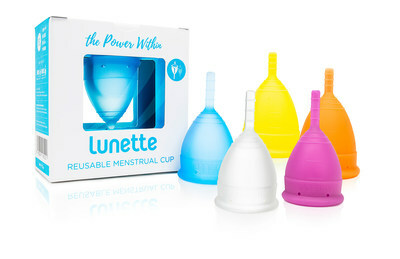 Global Compact, Promo For Friends Who "Cup Together"
HELENA, Mont., April 11, 2019 /PRNewswire/ -- Lunette, a privately owned and female-led global menstrual cup company, today announces its "Cup Together" Challenge, a call to action in celebration of Earth Day 2019 for all people with periods to join in its mission to eliminate ten million pieces of period trash from the environment this year, as a committed participant in the U.N. Global Compact and in support of the 17 U.N. Sustainable Development Goals. LUNETTE KICKS OFF THE “CUP TOGETHER” CHALLENGE TO ELIMINATE TEN MILLION PIECES OF PERIOD TRASH FROM THE ENVIRONMENT THIS YEAR. Perfect for the body and the environment, one vegan, zero-waste Lunette period cup lasts over two years, the FDA-recommended life of a period cup, and eliminates about 325 tampons or pads from the environment per person. With an estimated 45 billion menstrual products ending up in the garbage each year, switching to a Lunette cup has a huge positive effect. "Much like the plastic straw movement continues to make a big impact, we know that small, personal habit changes add up to huge global impact," said Heli Kurjanen, Lunette founder. "Lunette cups and packaging are completely zero-waste and have been for over 14 years. We're encouraging every person who has been thinking about trying a cup to make the switch today! By taking the "Cup Together" Challenge, two friends can save over 650 pieces of period trash from entering our waterways and landfills." Lunette's steadfast growth is strongly attributed to fans sharing their experience with friends and family. So, to kick off the challenge and celebrate those shared experiences, on Earth Day the brand will gift the first 1,000 cup purchasers globally (the first 100 per country in 10 countries) on Lunette.com with a free second cup to give to a friend with code: CUPTOGETHER. To continue to fuel the challenge, Lunette will also offer a buy one, get one at 50% off promotion from Earth Day through April 30 with code: CUPTOGETHER50. The average person disposes of about 300 lbs. of period trash in their lifetime. That's as many pounds as one Sea Turtle weighs. Plastic tampon applicators are not recyclable, ending up in sewer systems and waterways. The Ocean Conservancy reported collecting 27,938 used tampons and applicators on global beaches on one day in 2015. A year's worth of disposable pads and tampons leaves a carbon footprint of 5.3 kgCO2 per person. Organic tampons take around 5 years to decompose and plastic applicators around 500, if ever. The average menstruating person gets about 450 periods and uses 11,000 period products in their lifetime. Lunette Menstrual Cups begin at $39.99USD and come in six vibrant colors and in two sizes. The company also offers vegan, plant-based Feelbetter Cup Cleanser and biodegradable on-the-go Cupwipes to keep its cup fresh for years. Learn more at www.Lunette.com. 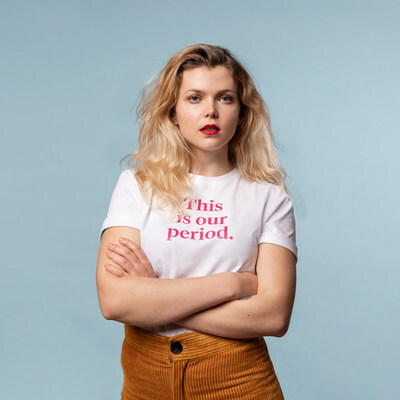 Lunette was founded in 2005 by Heli Kurjanen and has earned its place as a top global menstrual cup company through its continued focus on quality, safety, sustainability and inclusivity. Lunette remains a privately owned, female-led brand and has experienced year-over-year double digit growth since its inception resulting from its tireless commitment to reproductive rights and global sustainability. Through charity partners all over the world, the company has donated over 30,000 period cups to those in need. All of Lunette's products are proudly and meticulously made in its home country of Finland in wind-powered factories.